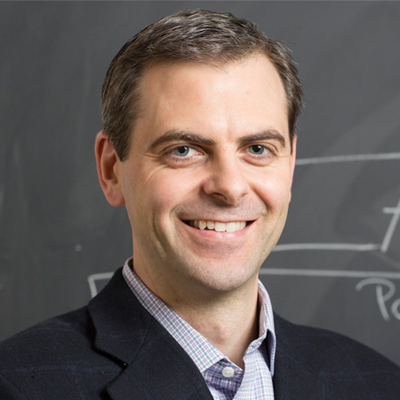 Your contributions will support the continued research of Dr. Marty Burke, at the University of Illinois, Urbana-Champaign, as he targets prosthetics at the molecular scale. Donations will fund the necessary $1M/year budget required for the lab which supports personnel, reagents, equipment, and instruments. Additional donations will help Dr. Burke’s team to enable projects that are not yet off the ground. In choosing to donate, you will play a role encouraging a new field of medicine and a powerful new technology, both of which have the potential for transformative impact on society. Many human diseases can be caused by missing proteins, including cystic fibrosis, asthma, anemia/thalassemia, cancer, atherosclerosis, neurodegenerative disorders, arthritis, and diabetes. 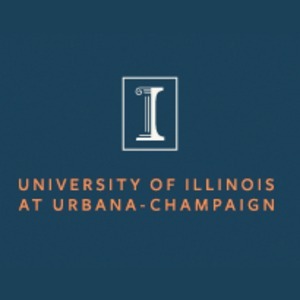 Dr. Marty Burke, Professor of Chemistry at the University of Illinois, Urbana-Champaign is pioneering the development of a new class of medicines that treat such diseases by operating as prostheses on the molecular scale. His efforts to achieve this goal have revolutionized the way in which these and many other types of molecules can be made in the lab. Specifically, he has invented a 3D printer for molecules. This new machine can automatically make drug-like small molecules from simple Lego-like chemical building blocks. This new technology is powerfully enabling his teams’ search for molecular prosthetics. More broadly, this technology stands to bring the power of making molecules to non-specialists and thereby revolutionize science, medicine, and technology. “Molecular Prosthetics”: Dr. Burke and his team target prosthetics on the molecular scale. Many diseases caused by too much protein function can be treated by small molecule drugs that bind to those proteins and turn them off. However, diseases alternatively caused by missing proteins cannot be treated using this classic approach, and thus most of these diseaseas remain incurable. He and his team are seeking to treat such diseases by developing small molecules that replicate the functions of the missing proteins, thereby operating as molecular prosthetics. Specifically, they are studying a series of naturally occurring small molecules that, after a billion years of evolution, already have the capacity to perform protein-like functions. Dr. Burke makes these molecules and many of their derivatives in the lab, studies their functions, and applies them to cells and animal models of human diseases caused by missing proteins. “The Synthesis Machine”: Dr. Burke’s 3D printer for molecules transforms the complicated task of chemical synthesis into a fully automated process, thereby enabling non-specialists (including even high school students! ), to create complicated molecules from simple building blocks. Beginning with a recipe for a specific molecule, a user simply adds the ingredients, connects the necessary vials, and presses “run” on the laptop attached to the machine. Within a few days, synthesis is complete and a molecule is ready. Such molecules have broad potential to benefit society, serving as medicines, tools to understand biology, medical diagnostics, components of frontier technologies including organic light emitting diodes, solar cells, space suits, and sensors for environmental toxins, and even many very useful household products including oven mitts, non-stick frying pans, baby bottles, perfumes, and bubble gum! Outreach and Engagement: With the belief that “society wins when the playing field is leveled,” Dr. Burke is passionate about getting as many people involved in scientific discovery as possible. With a diverse group of students in his own lab as well as a commitment to engaging scientists of all ages in his community, including local high school students, he believes that outreach is an important part of his role as a scientist. In fact, his “Lab Partners Program” brings students from underprivileged rural communities to his University each year to synthesize molecules. REVOLUTION Medicines: Dr. Burke is the co-founder of a new biotech company that is harnessing the synthesis technology developed in his lab to systematically transform natural molecules into new medicines for serious human diseases. This industrialization of his platform represents a key enabling step on the path to his vision of bringing the power of making molecules to everyone. Dr. Marty Burke grew up in the small town of Manchester, Maryland where there were “more cows than people.” In fact, he never met a scientists before he entered college. As a high school senior, Dr. Burke had dreams of being a doctor or a baseball player but when the “Orioles never called and Johns Hopkins did,” he headed to the University. While there, the world of science opened up for him and he realized the potential for leveraging science to impact the lives of others. Given his newfound passion, he decided to continue his academic career in pursuit of a joint M.D. and Ph.D. at Harvard. While at Harvard, Dr. Burke began working in a chemistry lab where he learned to make new molecules. Impressed by the powerful nature of creating molecular matter that may have never existed before, he was excited to be part of the discovery process. Simultaneously, he was working in the hospital learning to be a doctor. It wasn’t long before he realized that combining his passion for chemistry and human health could make a long-lasting impact on the lives of patients and their families. In fact, a turning point in his young career was when one of his twenty-two year old patients that had cystic fibrosis, sat in a hospital bed taking her daily regimen of 17 medications while Dr. Burke explained her condition. After explaining to her in molecular detail how a single missing protein was responsible for her disease, Dr. Burke was struck by her question: “If doctor’s know exactly what’s wrong with me, why can’t you fix it?” With hundreds of known human diseases caused by missing proteins but nothing to treat them except for lessening the symptoms, Dr. Burke decided to dedicate his career to developing prostheses on the molecular scale. In his free time, aside from research, Dr. Burke enjoys spending time with his wife and two young boys and running.